18/10/2018: friendly service, seated immediately. not over crowded or obnoxious. super cute and interesting decor, good A/C. 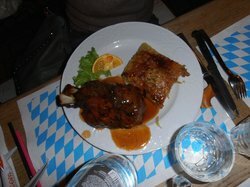 food was fast and delicious. Hunters plate and Spatzel, we shared between two people. Good cider. And dessert was on point 👌 over all 5 star would definitely come back and spend my cash here. 20/09/2018: Prezzi esorbitanti. 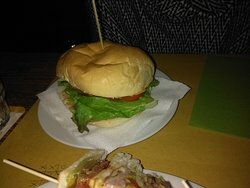 Una famiglia non può permettersi di andare a mangiare un panino a testa e bibita spendendo 20€Buono si ma siete sempre una birreria.